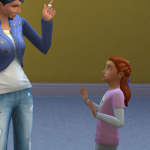 Are you in need of new SimLit to read? Do you want to get your SimLit out there for others to enjoy reading? 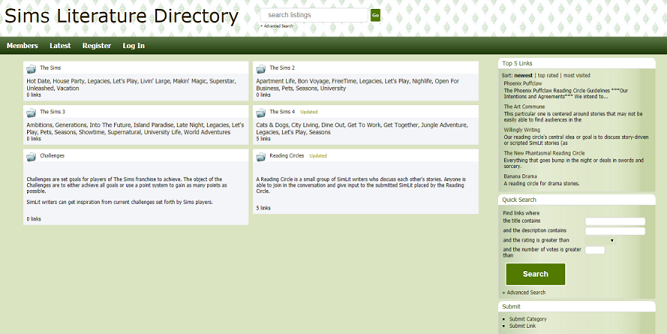 Sims Literature Directory is a brand new links directory for all things SimLit. 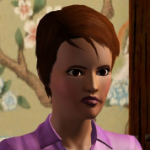 You will find stories from The Sims 2, The Sims 3, and The Sims 4 (currently seeking stories from the original The Sims). Sims Literature Directory (SLD) will be monitored for new links submissions. SLD only wants SimLit related material, so there will be a group of Moderators approving and denying links. Please be patient when submitting a link. Once approved, your link will be active. Submitting Links: Do not submit a link as a registered member if the SimLit or link does not belong to you. Registered members should only be submitting their work. If you think a SimLit or link should be listed, you can submit it as a Guest. Make sure you log out of your account before submitting. SLD has membership options. This is not referring to your Sims Forums account. SLD is not affiliated or owned by Electronic Arts. Claiming A Submitted Link: If a guest submitted a link, there will be no owner to it. If it is your creation and you registered as a member, you can claim the link and attach it to your membership so you can freely edit it. You can find the Claim at the bottom of the Details page of the submitted link. SLD gives thanks to all those who have created SimLit. SLD would also like to thank everyone who submits their SimLit or a favorite of theirs. Without you, the Directory will not continue to thrive. Guests can add their favorite SimLit to the Directory. 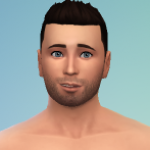 Become a Member and add your own SimLit! Don't forget to Rate and Comment on the SimLit you read at the Directory! 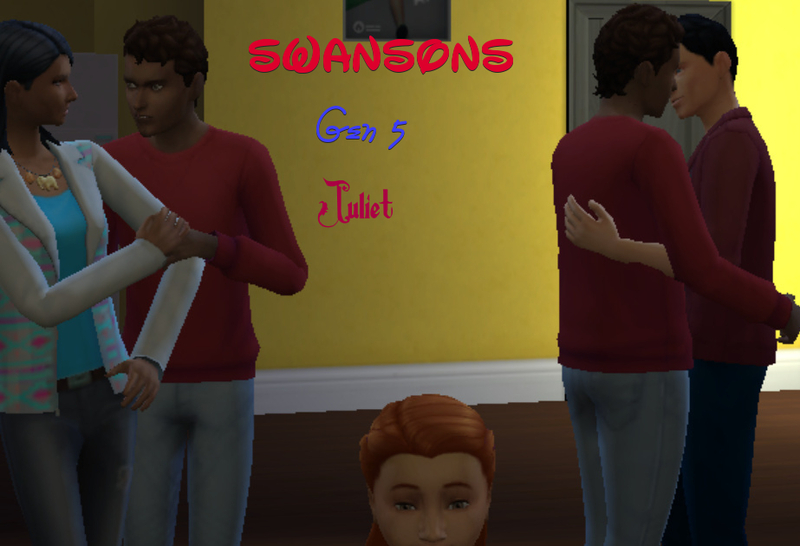 To ring in the new year, the Sims Literature Directory would like to showcase its five newest members and five newest SimLit. The Sims Literature Directory wants to thank all those joining and submitting SimLit or SimLit Resources to the Directory! Welcome to Hollidaysburg, where the spirit of Christmas lasts year-round. @MadameLee It was submitted by a Guest. You can go to the bottom of the link’s detail page and click the “update and claim it” link.